Our caramel bamboo plinths are the perfect match for kitchens featuring our caramel bamboo worktops, and are ideal for accompanying wooden cabinets and other natural kitchen furnishings. These caramel bamboo plinths measure 3000mm x 150mm x 20mm, though can be cut to size if needed. Each plinth is provided with a smooth sanded finish, allowing you to apply your treatment of choice prior to installation. These plinths can also be used as a taller alternative to our standard upstands, or used to create other kitchen details such as window sills or skirting boards. You can find out more about them in our Wood Worktop Plinths Nutshell Guide. 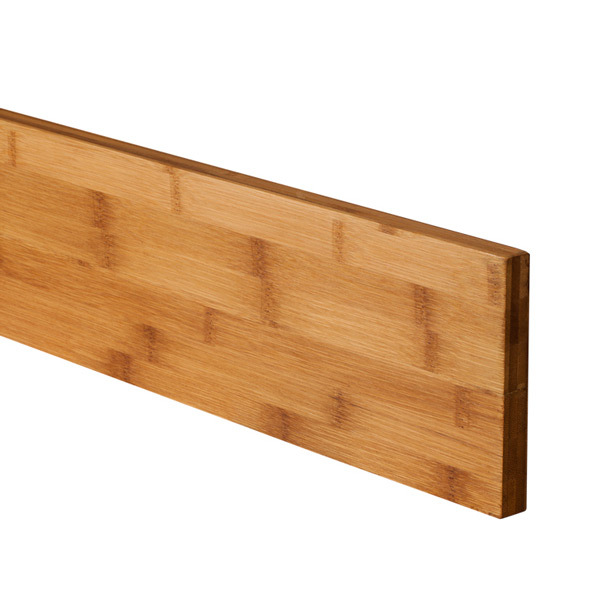 Made from sections of only the finest solid caramel bamboo, our chopping boards are substantial and hard-wearing, and look fantastic alongside a matching worktop.